Tonight, we're cruising with Hades in the car from Christine to the strains of "I Don't Want to Set the World on Fire" (nice touch!). Hades takes Zelena to a bonfire picnic complete with wine on the side of the road overlooking Underbrooke. He gives her a view of the town and tells her she deserves "The real thing". He wants to take her back to Storybrooke once his heart is beating again, and give her everything Regina once had. Hades is also pretty hacked that Snow got away, so now he's put everyone's name on a tombstone to keep them there forever, so they can never be a threat to Zelena's happiness again. He seals the deal by getting down on one knee and asking: "Will you make chaos with me?" Zelena returns to the farmhouse to find Regina waiting for her, and Regina shows her the magic mirror she's been using to spy on her sister. She knows all about Hades' 'proposal' and wants to know where Zelena's loyalties lie - especially considering her track record. Zelena thinks she can redeem Hades but Regina reminds her that's highly unlikely. "Stop pretending that you care about me!" Zelena snaps. Flashback now to preteen Regina, playing with a doll and begging Cora for some motherly attention. Cora reminds Regina of her own poor upbringing and tells her the only person you can depend on is yourself. Regina sadly returns to her doll, imagining it's a real playmate. Once Cora leaves, young Regina sneaks into Cora's drawer and finds a box with a magic wand. She plans to animate her doll but the wand's magic backfires and hits her hard. Regina's father rushes in and begs Cora to save Regina, but Cora tells him she needs the help of "someone close to her who hasn't harmed her." So what is Daddy? Chopped liver? Ahead in the Underworld, Regina lets the others know that Zelena is in love with Hades. They have to keep them apart, and Regina plans to enlist Cora to nip that troublesome romance in the bud. Rumple is once again monologuing over somebody's body. He tells a sleep-cursed Belle that he can't use light magic to free her and has to do things his way. Meanwhile down in the depths of hell, Cora is laboring at a mill and finds a hook planted in the sheaves. She uses it to break her magic-restricting cuff off and Killian shows up and springs her. Flashback now to Cora seeking out tween Zelena, who is using magic to stack wood. Her father sees and threatens to beat her, but Cora stops him. "Would you like the chance to show him that your magic isn't wicked?" Cora asks Zelena just before she leads her off by the hand. Ahead in Underbrooke, James and David finally come face-to-face only to have James get the drop on his bro in order to take his identity. 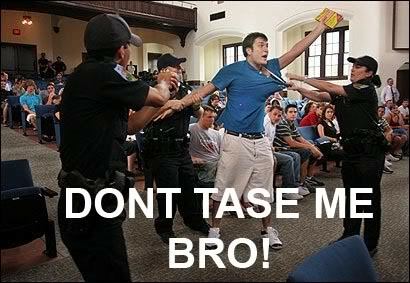 Note to Charming: never bring a broken board to a taser fight. James heads over to the apartment and Emma superpower shows its faulty self when he doesn't recognize he and Snow's anniversary picture and she shrugs it off. Regina, meanwhile, catches Cora up to speed about Zelena, and Cora agrees that Hades is beyond redemption. They only have one option: make Zelena forget Hades. They head to a convenient river of forgetful water that conveniently also ran through Cora's former kingdom, Cora lets Regina know she's used this water before. Flashback again as Cora shows up at young Regina's bedside with Zelena. Young Zelena instinctively knows how to save Regina, and she's thrilled to use her powers to help someone. Not long after, we are treated to the extreme nuclear cute of young Regina and Zelena playing 'evil queens'. Regina shows Zelena the box with the wand - which Zelena opens with ease - and Regina is surprised, as the box is sealed with blood magic. They run and find Cora to inquire about it and are both surprised and delighted to discover they're sisters. Regina asks if they can be a family and Cora is very disappointed to hear that, reminding Regina that she should only be counting on herself. Guards haul Zelena away, and both girls are given the water of forgetfulness, so that they never know they had that time together. Ahead to the woods outside Underbrooke where we finally see Robin, who has been hiding out in a cave with baby Nameless. Emma and James (masquerading as David) are delivering baby supplies when James pulls a gun on them. 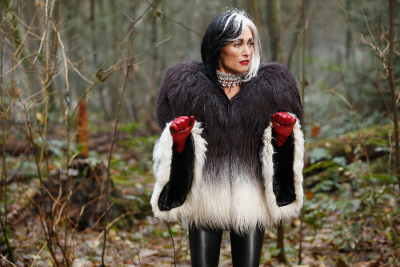 Cruella pulls up in her car with a snarky "Why is everything in the woods with you people?" Then she hauls off and slugs Emma for offing her, and Emma just lets her - I guess out of guilt. Anyway, Cruella wants to take baby Nameless to use her as leverage against Hades so he'll let her out of the Underworld. Cora tells Zelena she's sorry for giving her away and admits that she was wrong. It turns out her unfinished business is her daughters, and the way she wronged them. Cora hugs Zelena tight as Regina sneaks into the house with the happy forgetful water. When Cora offers her a drink we find out Zelena's wise to her game, tossing the drink away and demanding that Regina show herself. Cora finally confesses that the two sisters have met before. They join hands, sing Kum-Ba-Yah and the memories flood in. Cora admits that she's been a fool for thinking love was weakness. She gives each girl a pep talk and tells Zelena it's never too late, especially for family. Across town, James and Cruella take Emma and Robin to the dock to throw them into the water. David shows up to rescue them, giving us the obligatory 'fighting with my evil twin' scene. 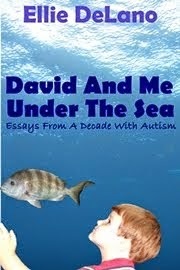 David throws down the family card, but James wants none of it, forcing David to toss James into the water while Cruella runs away. David feels pretty crappy about it, too. 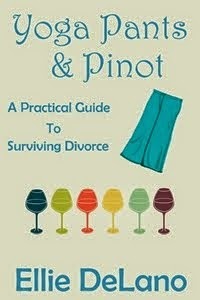 Do you sense a theme, here? Regina and Zelena walk Cora to the bridge so that she can move on, even though nobody knows if that's up or down. She asks them to promise to hold on to each other, and the sisters give a tearful agreement. Cora gives the both of them a tender goodbye before she steps into a fiery tornado that reveals a white light. As the sisters stand holding hands. 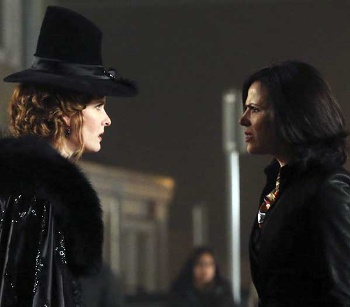 Regina encourages Zelena to go to Hades and redeem him. We end at Granny's, and Hades at waiting for a candlelit dinner with Zelena. Rumple intercept Zelena before she can go in and reads her the riot act about her about giving Belle the needle with the sleeping curse. Then he tells her he has another deal on the table, and up walks dear old dad, a.k.a. Peter Pan. He bags her and I'm guessing the only warm thing in Hades' bed tonight is the glow of his bad CGI hair. I'm giving this one five phoenixes out of five. There were a few niggling plot details, but hell, that's par for the course in this show. I loved the dynamic between Regina and Zelena so much, and God, but do I want to watch them take down Hades together. Are You Going To Sleep All Day, Or What? Happy, Happy, Happy Birthday To Me!